was the most popular manual portable typewriter in newspaper advertising. 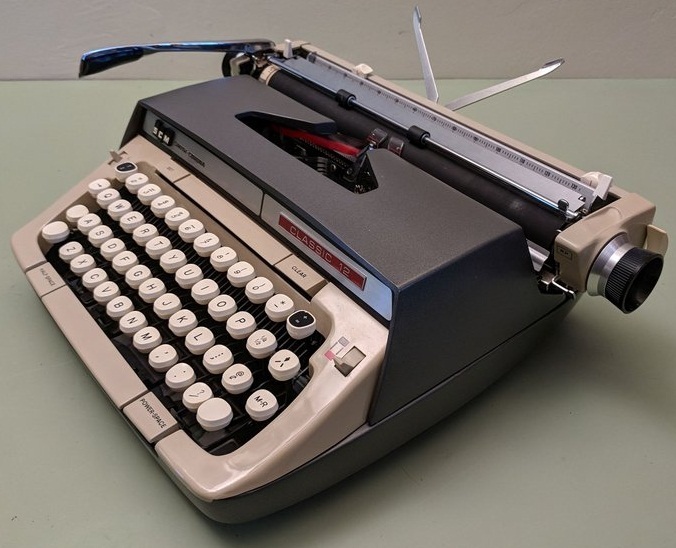 Sales of manual portable typewriters in the decade after Litton Industries sold its typewriter division to Volkswagen in 1979 become a matter of interest for me after my last two posts and a series of comments from Ted Munk and Richard Amery. 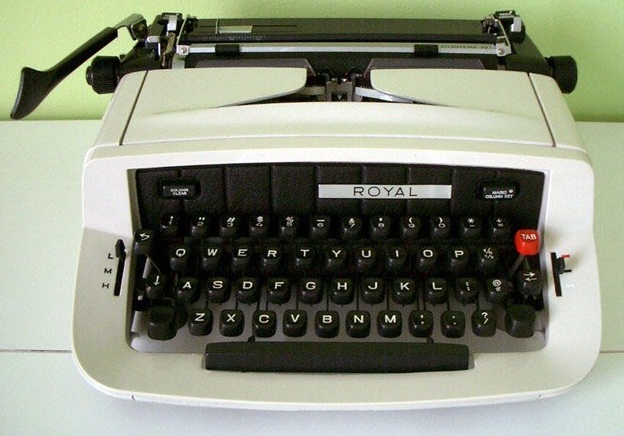 The Royal Custom IV was the most popular model advertised in 1983. Photo from the Nick Bodemer Collection. 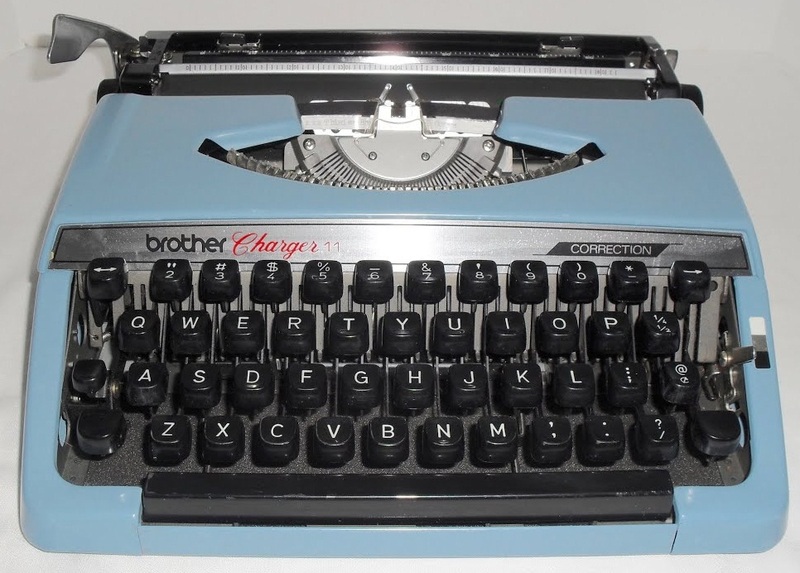 Identifying typewriters for sale as “manual portables” only started to become a prerequisite phrase for sellers in the 1970s, when electric and later electronic machines began to proliferate. From the mid-1980s, advertisements for second-hand machines began to overtake those for new models, and by 1989-90 ads were predominantly for used typewriters. As well, display ads all but dried up in the last few years of the 80s, so it became difficult to identify brand new models being offered. Here in Seattle, the most commonly advertised portables were the Brother Charger 11, Smith-Corona Classic 12, Royal Safari, and Royal Sabre. Hmmn, interesting! Did you happen to note the date ranges that the Royal Safari IV was advertised? I currently just have "198?" for them, and I presume if they were the most popular in 1990, they must have lasted through some part of the 90's beyond that. Good to see those sleek designs of the 80s. I really enjoy using the Classic-12 machines, and I had the Galaxie-12 also at one time. No major differences so I passed the Galaxie on to another typist. I need to find a Brother Charger-II. My only Brother is a Mongomery Ward Accord; overall a nice typewriter. Helpful research! It's interesting to watch the gradual decline. The Smith-Corona Courier C/T is a miserable machine designed to use those awful, flaky correction ribbons. Thank you Bill, Nick, Richard and Ted. Ted, the advertising for the Royal Safari IV ranges from December 1989 to October 1990. Interestingly, I noted that while in my photo "Royal" is on the left side, in the ads its on the right with "TA" on the left, TA at that time being owned by Olivetti. The Royal Safari IV is a Maritsa 30 made in Plovdiv. They were sold in Australia as the Pacific 30 and Lemair 30. whiteelephant (Steve K) has the same machine as a Swedish-bought Skrivmaskinen 20, which he links to an Silver-Seiko design. Richard Amery has a Maritsa 11 labelled as an Imperial, made in Plovdiv, so maybe Olivetti also controlled, or relabelled machines from the Bulgarian plant, although I can find no evidence of that. Another thought, Ted: Since Richard Amery's Good Companion 75 is badged as a Litton machine, maybe VW then Olivetti got the Bulgarian machine through buying out Litton's interests? Certainly possible. I can't identify them by sight, so it's all very mysterious to me. Okie doke - that brings the Royal manual portables to 1990, then there seems to be a 15+ year drought where I presume Olivetti/TA/Royal sold mainly daisywheel electronics until the newly re-Americanized Royal brand began labeling Chinese manual portable machines sometime in the mid-oughts. This post and responses opens up the questions about what was happening in the manual typewriter world during the 1980s. This is all the more interesting because of the sale of the Litton owned brands in 1979. This was an interesting time for other companies, such as OLYMPIA. It was during this period we saw the end of those high quality machines from Germany and saw the introduction of many made in Japan. Whoever was controlling Olympia at that time certainly ensured that Nakajima produced for them a high quality product, to uphold the quality reputation of Olympia brand. In my collection is an Olympia Carina 2. Made by Nakajima. Serial No. 61000257. Sold under the invoice of 'Olympia International' from North Sydney on the 17th March 1986. Price $198.00AUS.This machine also sold as 'ALL 8000' however the carry case and outer body of the Olympia seems to be more up market. So now we see Olympia products during this period. We know Olivetti and Brother were busy as was Nakajima, however what became of the brand names Royal, Adler, Imperial as far as branded portable manual typewriters from 1979 on? 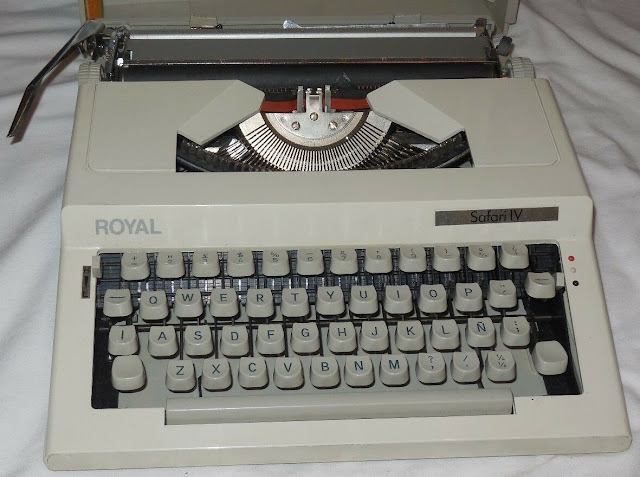 You were right Ted about the Royal Safari IV, it was still being advertised up to 1992, except not as a Safari IV but simply as a Royal manual portable typewriter. By that point the display ads were few and far between and the detail very poor, but it is definitely the Safari IV. Somewhere along the lines, maybe on your database, I noted manual typewriters were still being made by Messa, Nakajima, and in Korea and Bulgaria in 1987. Bulgaria at one late point declared they were the only manual typewriters manufacturers outside China. In July 1993 someone wrote to the Wilmington, Delaware News Journal saying they wanted a new manual portable typewriter to take camping and couldn't get one anywhere. The reply was to try Arrowhead Business Machines in Kansas City, where they sold Olivetti 25s and 35s. Gee, to have to go from Delaware to Missouri to get a new typewriter is pretty tough! Around that same time second-hand Hermes Babys in good condition were fetching $90! "The Run-Down of Manual Portables in the US, 2004 - 2007. 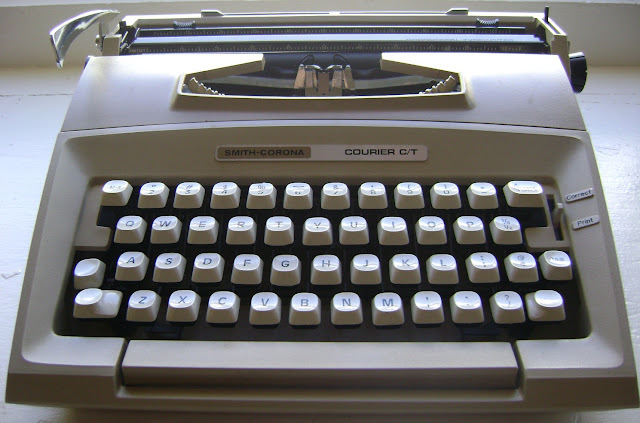 As of mid-2004, machines still on the market included the Olympia Traveller C, and two offerings from Olivetti - the Lettera 25 and the Lettera 35l. The machines were quite different; the Olympia had a snap over lid, carriage shift, and the lowest price of the lot. The Olivetti machines were larger and heavier (although still of the "small" range of Olivetti portables) and incorporated segment shift, but had bag type carrying cases instead of a lid or actual hard case. 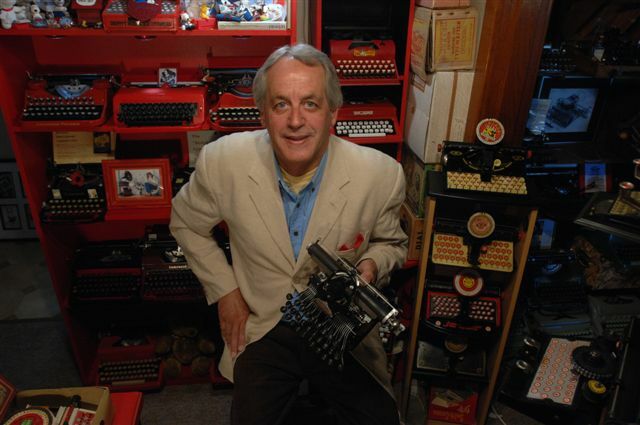 In the third quarter of 2004, both Olivetti and Olympia dropped their long running manual portables. 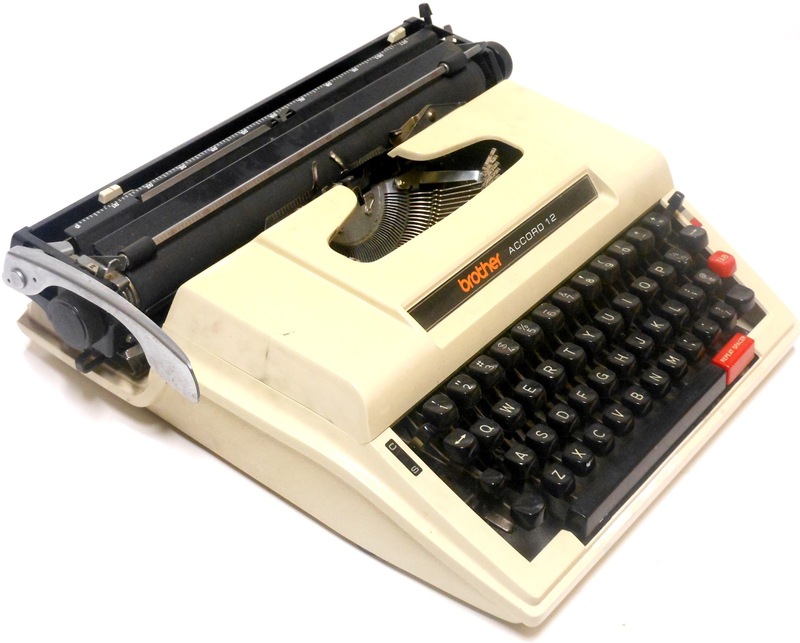 In the case of Olympia, the end was complete; in Olivetti's case it immediately began importing machines from China which were advertised as the "Olivetti MS25 Premier." Interestingly the MS25 was actually imported under the same model number in TWO DIFFERENT mechanical variations - a machine based on the old Brother, and another machine based on the IMC/Rover manufactured by Shanghai Aeroengine Manufacturing. We noted at that time that the production of this IMC model had been taken over from Shanghai Aircraft Industrial Corporation who actually was a part owner of the new Shanghai Aeroengine firm; the product's brand name had been "Chang Kong." "